One tool for all members of your product design, development and manufacturing teams. You need one repository of truth for all your product data: product ideas, customer requirements, design files, tasks, documents and more. Most importantly it all needs to be connected through a collaborative workflow. OneDesk can help you get all your work organized and your communication processes humming like a well-oiled machine. OneDesk provides email capture to ensure that the customer’s communication is tracked. 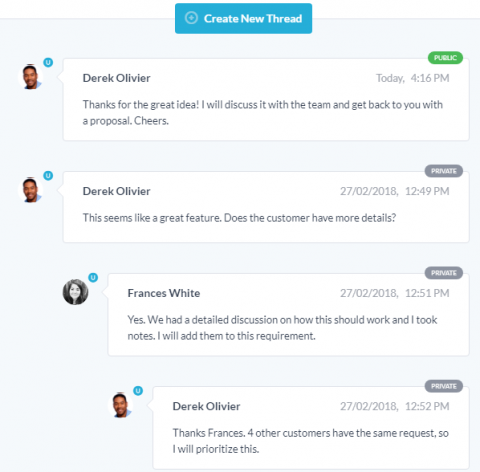 Collaboration between your team and your customers is centralized and the customer portal lets the customer track, discuss and approve changes. Design changes, product updates, and scope increases can lead to cost overruns, missed schedules and misaligned expectations. 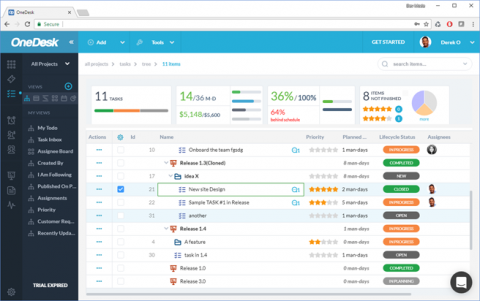 OneDesk lets you track it all including tasks, emails, and defects. 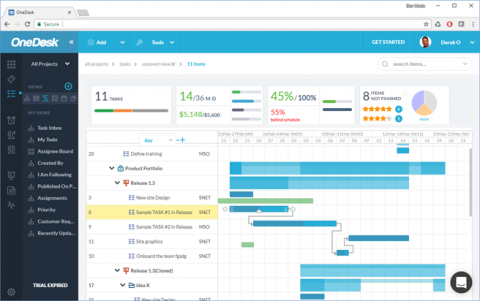 Our project management tools let you plan your projects in detail and compare those plans with actual execution, schedule and costs. Capture, evaluate and score ideas. Group similar ideas together and expose them for review and discussion. 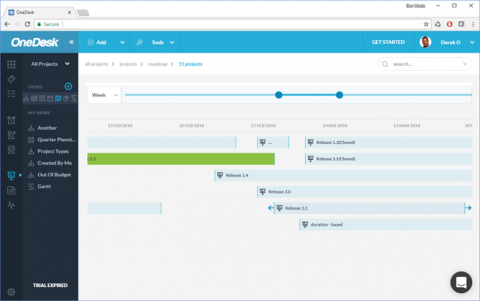 Customize your approval and development workflows to match the way you work. If a lot of your projects are similar in nature, OneDesk can save you a lot of time. 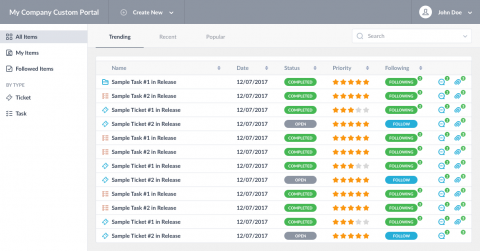 Create a template project with tasks, assignments work estimates and more, and clone the template to quickly get new projects going. When it comes time to produce the product, OneDesk can help there too. Communicate with suppliers on production schedules and design changes. Act as gatekeeper between the customer and manufacturers, while keeping conversations centralized, yet separate. Group projects into portfolios and keep them organized. Plan out your project pipeline using calendars and and roadmaps to get the strategic insight needed for long term planning.